This year Hanukkah begins at sundown on Sunday, December 2nd and lasts until sundown on Monday, December 10th. Hanukkah, the Festival of Lights, brings joy and sparkle during a dark time of the year. 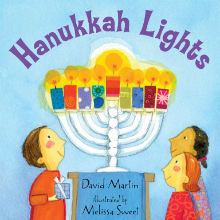 Beginning on the 25th of the Jewish month of Kislev, which falls in November or December in the Roman calendar, Hanukkah is a time to eat delicious latkes (potato pancakes), play dreidel (a traditional game featuring a spinning top), enjoy gathering with family and friends — and, of course, light Hanukkah candles. A hanukkiah, or Hanukkah menorah, holds nine candles — one for each of the eight nights of Hanukkah, plus the shammash, or “helper,” which is used to light the other candles (the number of which increases each night of the holiday). Many families exchange gifts during Hanukkah, too. Want a quick primer on Hanukkah traditions and customs? Watch this video! The Hanukkah story goes back to the second century BCE, when the ancient Greeks ruled Judea and confiscated the Holy Temple. The small Jewish Maccabee army staged a successful revolt. When the Maccabees took back the Holy Temple, they discovered that the ner tamid, the eternal light that burned continuously in the Temple, had gone out — and they only had enough oil to relight the lamp for one day. Miraculously, the oil continued to burn for eight full days, the amount of time it took to obtain more oil. Then, as now, the burning flame lighted up dark days, offering a symbol of hope and gladness. Use the buttons below for everything you need to learn more and celebrate Hanukkah with your kids this year. For small children and toddlers, Hanukkah is experienced through the senses: beautiful candles shining, the taste of delicious, sweet, sticky sufganiyot, and evening snuggles with family. 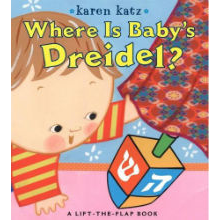 Introduce your little ones to Hanukkah with stories like Where is Baby's Dreidel and Hanukkah Lights. Sing "Hanukkah, Oh Hanukkah" together. Decorate a glow-in-the-dark pathway with your family to guide friends and visitors to your menorah. Dip healthy "zucchini candles" for dinner or bake veggie latkes. The Plony family discusses the Hanukkah miracle. Build some Lego dreidels together. Share the light of the holiday with others by making special get well goodie bags. Make some candles of your own by recycling your old crayons. Upcycled crayon candles make great holiday gifts too! Once kids reach upper elementary and middle school, they’ve battled the "December dilemma," helped make the latkes, and have had their share of hand-print menorahs. While it may seem tough to keep engaging kids of this age-group, Hanukkah is a great opportunity to hand off some of the holiday responsibilities to your tweens. Invite them to choose an activity for each night, make a dish, say the blessings, or read a story. This is just the tip of the sufganiyot tower! 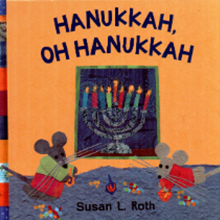 If you’d like more information about celebrating Hanukkah with kids, visit the PJ Library Hanukkah Hub.